Informing the discussion: Is the current method for funding social services at the local level equitable? In the struggle between national and local, strong and weak, the Taub Center infuses the conversation with data-driven research. Support us now, before the end of the year, to ensure policymaking is driven by evidence. Shavit Madhala (right) and Prof. John Gal (second to right) present at the Knesset State Control Committee on Monday, December 18, 2017. Click here to support our work. There is considerable inequality in the financing of welfare services between strong and weak local authorities in Israel. This was the topic of a rousing discussion in the Knesset State Control Committee (הוועדה לענייני ביקורת המדינה) earlier this week, where Taub Center researchers Prof. John Gal and Shavit Madhala were not only part of the policy discussion, but central to it. The study Gal and Madhala conducted along with Haim Bleikh was the trigger for convening a committee meeting on this subject, and the two were asked to open the meeting by presenting the new study’s findings. The study examines the consequences that the matching funding method has on local authorities’ provision of welfare services. Social workers and other professionals employed in the local authority social service departments deal with the problems of around 464,000 households in distress who receive a range of services including care for the elderly, individuals with disabilities, and youth at risk. The study is a chapter from the forthcoming State of the Nation Report 2017 (set for release next week), which was pre-released by the Taub Center earlier this month. The matching method means that for every shekel invested by the local authority for these welfare services, the Ministry of Labor and Social Welfare supplements three shekels. Thus, in practice, 75% of the welfare budget is financed by the Ministry of Labor and Social Welfare and 25% by the local authority. Israel’s Supreme Court is currently examining a petition against this funding method that claims it is not equitable across the local authorities. The Taub Center’s findings served as the basis for the rest of the committee discussion, during which many MKs and heads of localities argued for the need to abolish or modify the matching system because, as Committee Chair MK Shelly Yachimovich (Zionist Union) put it, the current funding method is “irrational and unjust, further strengthening the strong and further weakening the weak.” A number of mayors gave passionate accounts of the services they have had to forgo in their communities because they are strapped for resources. While the topic of inequitable funding for social services across local authorities was already being discussed publicly, participants in the committee meeting noted that the debate thus far had been lacking the support of solid facts and figures – which the Taub Center, in turn, was able to provide (to learn more about the study’s findings, click here). Among those in attendance were the minister and director general of the Ministry of Labor and Social Welfare, mayors of local municipalities, and a number of members of Knesset, various ministry officials, journalists and more. MK Yachimovich requested that the Ministry of Labor and Social Welfare submit a report analyzing options for reform in the realm of social service budgeting in local authorities within a month. 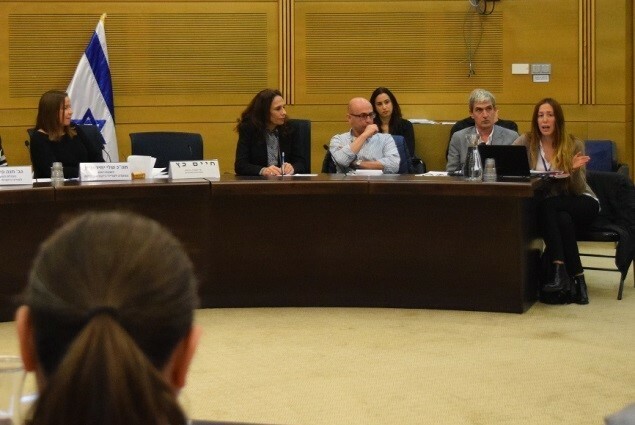 In addition, the Knesset Research and Information Center turned to the Taub Center researchers to learn more about the study as they gather information for a legislative proposal being written by MK Itzik Shmuli (Zionist Union). There have been requests for follow-up meetings with the Taub Center researchers at the Ministry of Labor and Social Welfare, in the Knesset, and in several municipalities, as well as considerable media coverage of the study’s findings, which has helped to bring the conversation out of the policy sphere and to the broader public. This is just one way the Taub Center’s research has an impact on Israeli society. Fuel real discussion, real action, and real change by supporting independent, unbiased research today!